False rumors about another imminent tsunami caused chaos Tuesday in Indonesian villages traumatized by the series of giant waves that hit without warning over the weekend, killing at least 429 people. The Meteorology, Climatology and Geophysics Agency (BMKG) appealed to the public to only refer to government agencies when looking for information about disasters. BMKG chief Dwikorita Karnawati made the statement in response to the numerous misleading, unaccountable information regarding the Sunda Strait tsunami. Indonesia had the highest number of spam calls in Southeast Asia, according to a recent report. Head of the eastern region volcano mitigation at the Volcanology and Geological Disaster Mitigation Center (PVMBG) Devy K. Syahbana said that Mount Anak Krakatau`s recent Surtseyan eruption was eerily similar to the 1927-1928 incident which also caused a tsunami. A fresh eruption at the Anak Krakatau volcano that caused last weekend’s deadly tsunami sent residents fleeing from the Java coastline on Tuesday (Dec 25) afternoon. 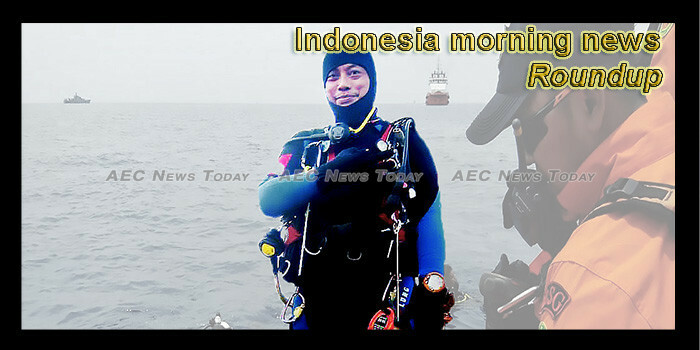 Nurmelis was watching TV on Saturday night in her home on Pulau Sebesi, one of the several small islands dotted around the Sunda Strait, located between the larger Indonesian islands of Java and Sumatra, when the sea began to churn. The death toll due to the tsunami disaster in the Sunda Strait, Banten province, has increased to 397 people, M Syaugi, head of the national Search and Rescue agency said here on Tuesday. The West Java provincial government has planned to raise funds in an effort to help build a mosque in Palestine, which will start by the end of January 2019. People have been flocking to Jakarta’s main tourist attractions that offer various activities during the Christmas holidays. The oil and gas industry has seen turbulent times over the last 10 years, with the 2008 financial crisis as a turning point for the industry as a whole. Condolences from world leaders are pouring in for the families of the victims of the Indonesian tsunami that struck Sunda Strait between the islands of Sumatra and Java, claiming at least 429 lives on Saturday. PT Pelabuhan Dumai Berseri (PDB) hopes to finish the construction of a new port for passenger ships in Dumai in 2019. The Joint Evacuation Team made up of the military, police, the disaster mitigation agency, and volunteers was focusing on evacuation in the sub-districts of Sumur and Panimbang in Banten. As the death toll rises from the tsunami disaster in Indonesia, experts say there are seven volcanoes across the archipelago in an “eruption phase”. The Meteorology, Geophysics, and Climatology Agency (BMKG) is set to investigate the main cause of the damage sustained by the tsunami detection system installed at the Sunda Strait following the devastating tsunami that hit the region. Coordinating Minister of Maritime Affairs Luhut Binsar Pandjaitan is currently coordinating with a team of experts that are tasked to identify and conclusively determine the cause of the Sunda Strait tsunami in order to better prepare for future occurrences. Indonesia will organize presidential elections on April 17, 2019, considered by many as a repeat of the bitter 2014 presidential race, wherein incumbent Joko Widodo (Jokowi) and Prabowo Subianto are again set to go.